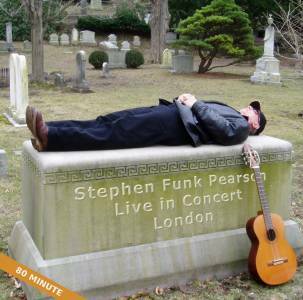 classical guitar canada"The performances are first rate on this album as are the compositions"
Stephen Funk Pearson is an accomplished composer and performer who lives in Massachusetts, USA. With a career spanning multiple continents and a variety of music genres, Funk Pearson has made a significant contribution to the classical guitar’s repertory writing solo and chamber pieces of great originality. His latest recording, Artists Around the World Perform Stephen Funk Pearson is entirely comprised of his own compositions. The selected works, which are performed by a medley of musicians who hail from all corners of the globe, have been collected and thoughtfully arranged into a concert format, complete with encore . With such a diverse selection of performers and recording setups it must have been quite a challenge to create a uniform sound for the album. The finished product, thankfully, has a wonderful consistency of sound and quality despite its collage style makeup. With contributions from a range of artists including Duo 46, Alexander Tsiboulski, and the Salzburger Gitarrenquartett, the music is afforded the attention and execution of world class players and it is a joy to listen to Funk Pearson’s music be interpreted differently by the various performers. The international qualities of the recording befits the very eclectic style of Funk Pearson, which incorporates influences from diverse genres such as jazz, classical, American folk music and blues. The album is, much like the nature of the compositions, full of variety with instruments including, flute, mandolin, voice, violin and marimba while all the time keeping the guitar well and truly in the spotlight. The kaleidoscope of colors and effects that Funk Pearson employs in his compositions are inventive, capturing and always used with great purpose . The sound of the guitar, with all of its song like, quirky, and even humorous qualities, is explored and manipulated to the point that, at times, I was wondering just how those exotic sounds were coming out of the guitar! Funk Pearson obviously has a profound knowledge of the instrument and he hones in on the expressive qualities that have endeared musicians around the globe. This album feels as much an homage to the guitar as it is to the composer himself. From the very familiar and warm sounding Variegations to the alien landscape of Mountain Moor, Funk Pearson morphs and molds his compositions to create unique and distinct objects. Perhaps the most inventive and breathtaking work is an encore entitled ‘Sea Peace’ performed by B.A.M at the end of the album. 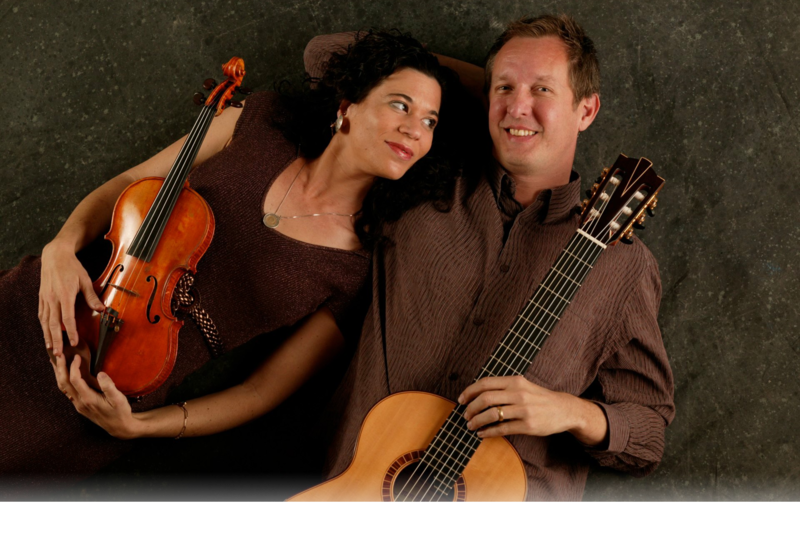 A wonderfully evocative piece, sea piece uses the violin, guitar and mandolin to create a maritime vision that will leave you ensconced. I have rarely heard such an inventive use of acoustic instruments. The performances are first rate on this album as are the compositions. Stephen Funk Pearson has made a great contribution to the guitar’s ouvre and if you haven’t familiarized yourself with his works I can highly recommend that you start with Artists Around the World Perform Stephen Funk Pearson.